Can a football game affect the outcome of an election? What about shark attacks? Or a drought? In a rational world the answer, of course, would be no. But as bestselling historian Rick Shenkman shows in Political Animals, our world is anything but rational. This isn't because we aren't smart. Instead, modern cues are setting off ancient, instinctive responses that worked to keep us safe in the Stone Age but lead us astray today. Pop culture tells us we can trust our instincts. But science is demonstrating that when it comes to politics, our Stone Age brains can malfunction and misfire. Fortunately, we can learn to override our instincts and ensure that they work in our favor. 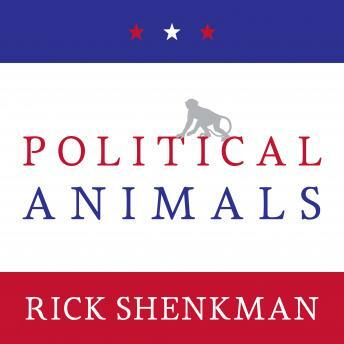 Drawing on science, politics, and history, Shenkman explores the hidden reasons behind our political choices and uncovers the invisible forces that are truly responsible for victory or defeat at the ballot box.